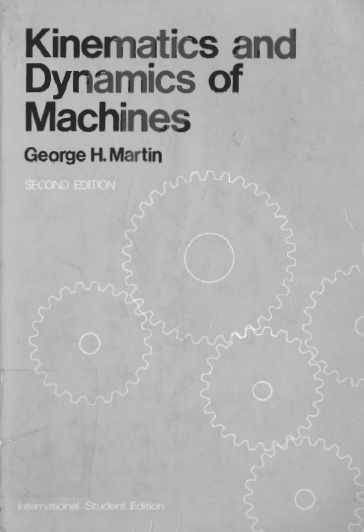 DYNAMICS : Dynamics of machines treats with the forces acting on the parts of a machine and the motions resulting from these forces. 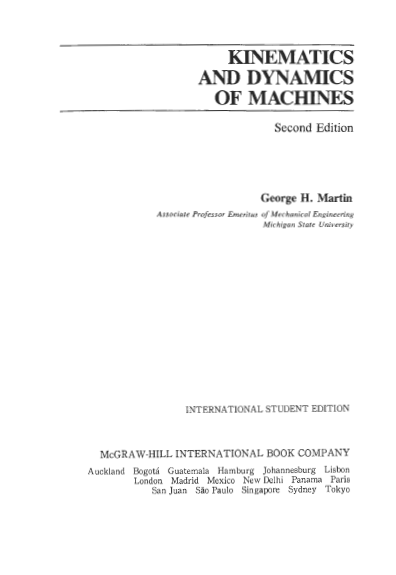 MACHINE : A machine is a device for transforming or transferring energy. It is sometimes defined as consisting of a number of fixed and moving bodies interposed be- tween the source of power and the work to be done for the purpose of adapting one to the other. The electric motor transforms electrical energy into mechanical​ energy while its counterpart the electric generator transforms mechanical energy into electrical energy. In a gasoline engine each piston connecting rod and the crankshaft act as a machine for transferring energy. The input mechanical energy is the product of the force on the piston and the distance it travels This energy is transferred to the crankshaft, where it appears as output mechanical energy and is the product of the torque and the angle of shaft rotation. KINEMATIC DIAGRAM : In studying the motions of machine parts, it is customary to draw the parts in skeleton form so that only those dimensions which affect their motions are considered. 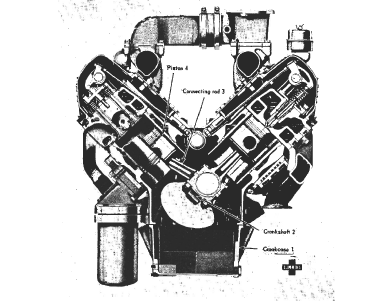 The drawing in above figure represents the main elements in the diesel engine shown in the figure. The stationary members, consisting of the crankshaft bearing and cylinder wall, are cross-hatched and labeled link 1. The crank and crankshaft are link 2, connecting rod link 3, and piston or slider link 4. Link is the name given to any body which has motion relative to another. Since the bearing and cylinder wall have no motion relative to one another, they are considered as a single link. That part of a machine which is stationary and which supports the moving members is called the frame and is designated link 1 in Figure consider the position of the connecting rod for a given angular position of the crank. The angular position velocity, and acceleration of the rod depend only on the lengths of the crank and connecting rod and are in no way affected by the width or thickness of the rod. Thus only the lengths of members 2 and 3 are of importance in a kinematic analysis The drawing in Fig 1-1 is known as a kinematic diagram and is a scale drawing representing the machine so that only the dimensions which affect its motions are recorded All materials have some elasticity. A rigid link is one whose deformations are so small that they can be neglected in determining the motions of the various other links in a machine. Bodies 2 and 3 in Fig. 1-1 are considered rigid links. A belt or chain, as illustrated in Fig. 1-3, is a flexible link. However, if it is always in tension, it may be replaced by a rigid link, as shown in Fig. 1-4, in order to analyze the instantaneous motions of bodies 2 and 4. Similarly, the fluid in the hydraulic press shown in Fig. 1-5 is a flexible link. If the piston areas are A1 and A2, then, assuming an incompressible fluid, points A and B of the equivalent rigid link shown in Fig. 1-6 have the same motions as the pistons, provided d2/d1, is made equal to A1/A2. MECHANISM : A kinematic chain is a system of links, that is, rigid bodies, which are either joined together or are in contact with one another in a manner that permits them to move relative to one another. 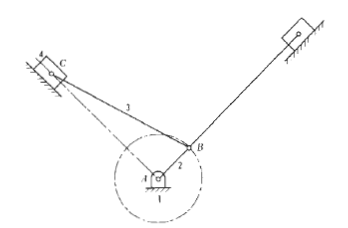 If one of the links is fixed and the movement of any other link to a new position will cause each of the other links to move to definite predictable positions, the system is a constrained kinematic chain. 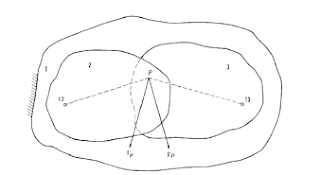 If one of the links is held fixed and the movement of any other link to a new position will not cause each of the other links to move to definite predictable positions, then the system i an unconstrained tic chain. A mechanism or linkage is a constrained kinematic chain. When link 1 in Fig. 1-1 is held fixed the piston and connecting rod each have a definite position for each position of the crank. Thus, the linkage is a constrained kinematic chain and is therefore a mechanism. Suppose, however, we have an arrangement of links as shown. INTRODUCTION : A flywheel is a rotating mass which is used as an energy reservoir in a machine. The kinetic energy of a rotating body is 1/2 lw^2 where I is the mass moment of inertia about the axis of rotation and w is the angular velocity. If the speed of the machine is increased, energy is stored up in the flywheel, and if the speed decreases, energy is given up by the flywheel There are two types of machines which benefit from the use of a flywheel The first type is illustrated by an electric generator which is driven by an internal combustion engine. Consider a single-cylinder four-stroke-cycle internal-combustion engine. The torque delivered to the generator varies considerably because there is one power stroke only once every two revolutions. The voltage output of the generator is a function of the speed, and a change in the voltage would cause a flicker in the lights. A flywheel is used in this instance to ensure a fairly uniform velocity and torque to the generator. The second type of machine which benefits from a flywheel is illustrated by a punch press. The punching process requires a large amount of power in spurts and if a flywheel were not used, all this power would have to be supplied by the motor, and a large motor would be required. By the use of a flywheel, a much smaller motor can be used. This is because energy from the motor is being stored in the flywheel during tho interval between the actual punching operations and is available for use when the actual punching occurs.